Spent the lunch hour getting signed up to be the treasurer of a Toastmaster’s club, but was more surprised to receive a presidential citation for our family’s volunteer work. When we volunteer, we do it to serve the greater good not to get recognition. So it came as a great surprise when my son called me excitedly at work to say that we had received an award in the mail today for our volunteer work. And sure enough as I walked in the door, I saw it. There, on our mantel was a citation from President Obama. The award was mailed from PAX, the organization through which we hosted Marisa, our exchange student from Albania. You can read about the award here. We received the gold award for volunteering more than 1000 hours as a family. 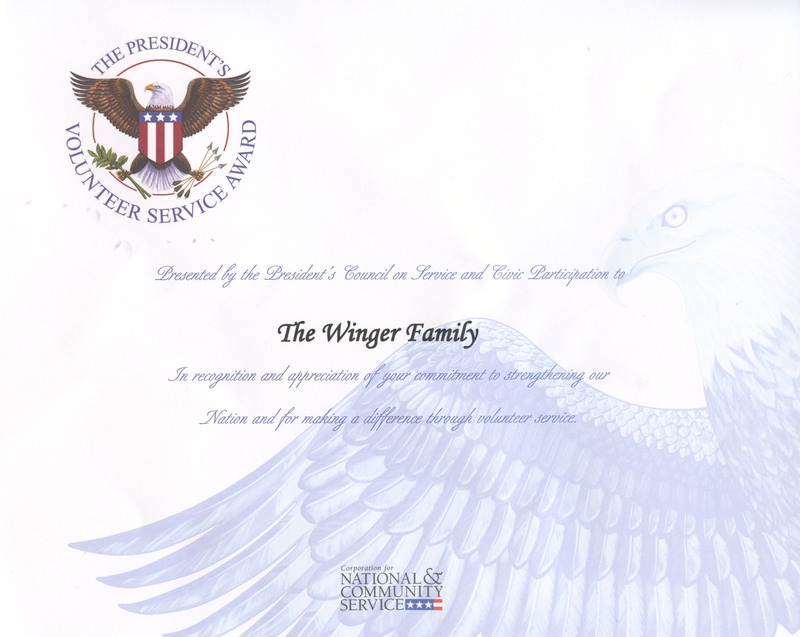 I am pleased that my family received this award, but I am more pleased that we volunteer as a family. My wife and I both feel that teaching our children to respect others by understand their needs is important. And it is important not just to talk about it, but to show it by volunteering as a family. The opportunity to volunteer exists everyday, for everyone. We do not need to wait for others or our government. I don’t think I can write it any better than President Obama wrote in his letter. 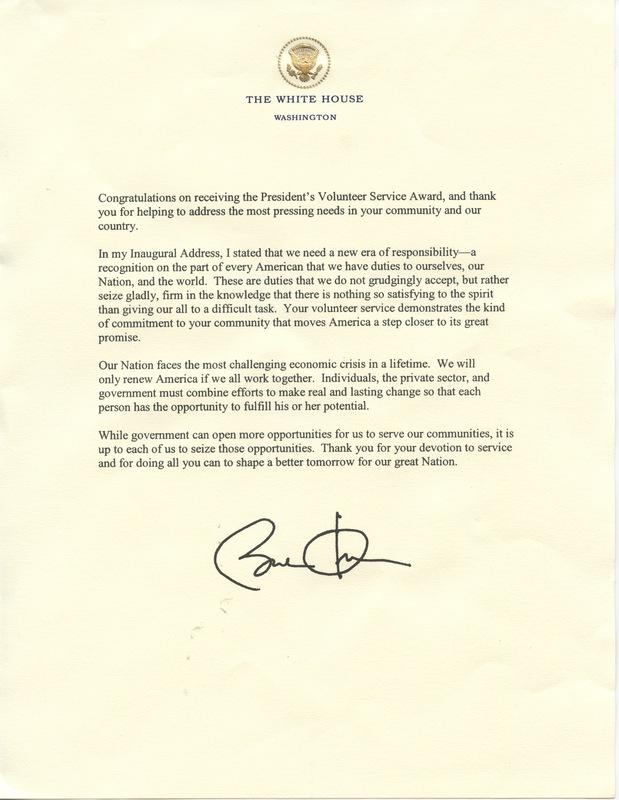 This entry was posted in In the community and tagged barack obama, exchange students, Family Volunteering, presidential citation, Volunteering. Bookmark the permalink.